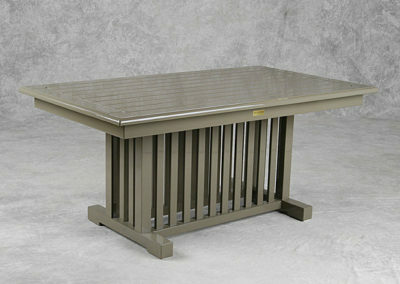 Features: Slatted trestle style base with rectangular top. 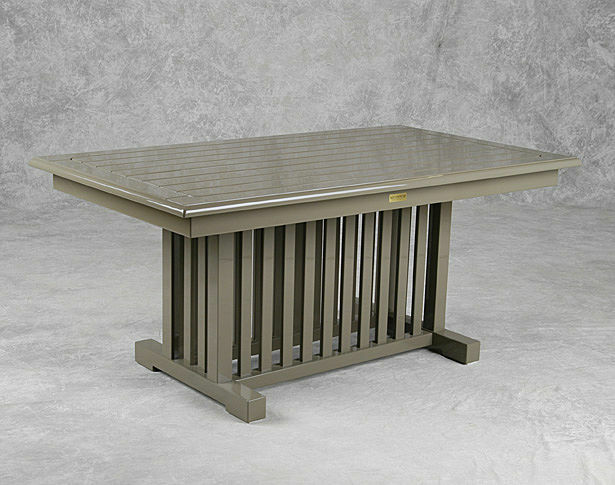 Complementing trestle style bench seating is also available. Please call for details.